Many many thanks to the hundreds of people who’ve e-mailed me here with new geographic alternative numbers over the last few months. My apologies for the tardiness in making the updates to the website to reflect this new information, but over the coming weekend I will be updating all the necessary pages with the new numbers provided. 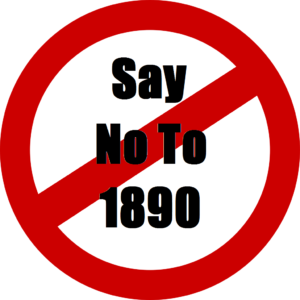 Please keep the e-mails and comments coming – the more geographic alternative numbers we can share around, the more money we can all save on calling these 1890, 1850 and 0818 numbers. 1890, 1850 and many 0818 numbers cannot be called from Skype or other VOIP services. So, if you’re overseas, for example, and need to call any of these numbers using your Skype service, you’re in bother. You can, however, make use of all the geographic alternative numbers provided here on SayNoTo1890.com to call these companies. So, in a situation where you want to call the Ulster Bank to ask them why their systems are broken again, you might try dialing 1850424365, but you’ll get an “Invalid Number” error. If you’re abroad when you’re trying to make that call, you might be trying to dial +353 1850424365. Skype, however, will recognise this as an 01 Dublin number beginning 850 – not what you’re looking for. So, if you’re using Skype or other VOIP services, and need to call an 1890, 1850 or 0818 number, then go to the A-Z link page here and find the company you want to call, or use the search box (top right of this page) and type in the number (no spaces) you’re trying to call to see if there is a geographic alternative available.